As part of Northeast State’s Black History Month events, vocalist Jonathan Blanchard will present “Music that Fueled the Civil Rights Movement” at the Wellmont Regional Center for the Performing Arts on Feb. 2 at 7:00 p.m. Admission is free and open to all. Drawing on the songs of Billie Holiday, Mahalia Jackson, Aretha Franklin, Curtis Mayfield, Sly Stone, and Marvin Gaye, Blanchard presents iconic music that was an essential component of the movement. His performance captures the vitality and idealism necessary to fuel dangerous marches, sit-ins, picket lines, and freedom rides. Blanchard, in the tradition of great soul singers, creates music that allows his deep, soulfully rich voice to blend naturally with the times. He movingly conveys poignant words and melodies to evoke feelings of love respect, hard times, and revolt. His voice of depth and richness draws comparisons to the likes of Paul Robeson, Isaac Hayes, and Barry White. Blanchard recently released his first studio album entitled “Freedom’s Soul…the REVOLUTION.” Recorded in Memphis and Atlanta, the album is a fusion of soul, funk, jazz, spirituals, hip-hop, and R&B. Blanchard’s artistic tastes were first forged in grade school. However, by the time he entered high school his artistic curiosity led him to sing in various choruses and to act in a number of theatre productions. He attended Tennessee State University, receiving bachelor’s and master’s degrees in commercial music and music education, respectively. While in college, he learned to weave the various elements of his artistic nature into a magnetic style of delivery. His stage credits include roles in Your Arms Are Too Short to Box with God, A Westside Story, “Joseph and the Amazing Technicolor Dreamcoat, Scipio, Do Lord Remember Me, and The Wiz. 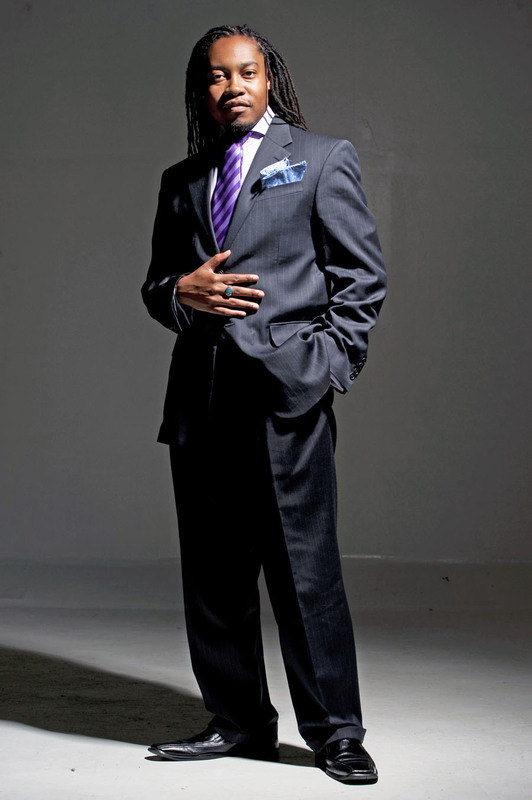 In addition, he’s done voice-over work for local and national concerns, appeared on Memphis’ WREG – Live at 9 program, and most recently been the featured singing artist on the PBS film Underground Railroad – Quilt Code for Georgia Public Broadcasting. Northeast State’s performing arts center is located adjacent to the Tri-Cities Regional Airport, 2425 Highway 75. Doors open at 6:30 p.m. For more information, call 423.279.7669 or visit www.jonathanblanchard.com. Northeast State Community College Department of Theater announces open auditions next week for its spring production of The Laramie Project. Actors are invited to two open auditions scheduled Jan. 27 & 28 scheduled from 6:00 – 8:00 p.m. at the Wellmont Regional Center for the Performing Arts (WRCPA) on the main campus 2425 Highway 75, adjacent to Tri-Cities Regional Airport in Blountville. The play is being presented by special arrangement with Dramatis Play Service, Inc. Written by Moisés Kaufman and members of the Tectonic Theater Project, The Laramie Project tells the story of the 1998 murder of Matthew Shepard outside Laramie, Wyoming, and how local residents dealt with a hate crime happening in their town. 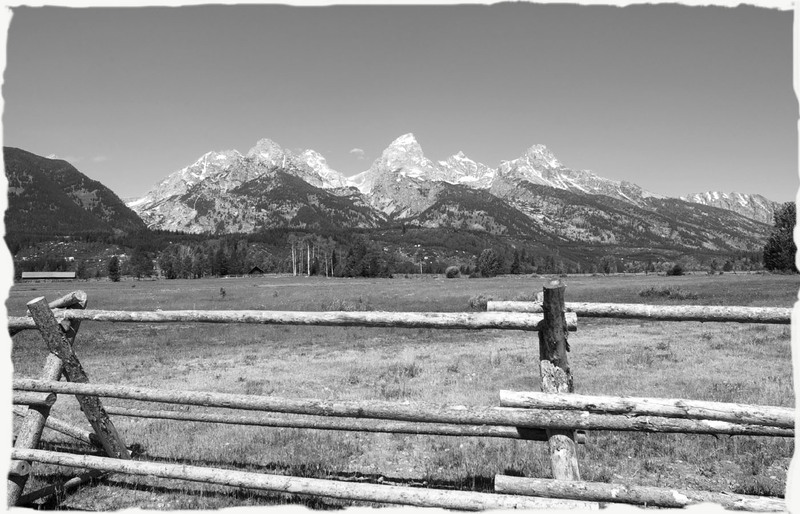 Shepard, a 21-year-old gay student registered at the University of Wyoming, was tied to a cattle fence, beaten severely, robbed, and left to die on a bitterly cold night. Two local men were charged and convicted of the crime. The Laramie Project is a deeply moving theatrical experience that explores both the savage darkness and extraordinary compassion of humanity. The production contains mature subject matter that may not be suitable for all audiences. Performers are asked to gather in the lobby of the WRCPA Theater. All actors should be familiar with the story and are asked to prepare a one-minute monologue to be read at the audition. Call backs will be made on Jan. 29 between 6:00 to 8:00 p.m. Production dates are March 19-22 and March 26-29. For more information, contact Northeast State Theater at 423.354.2479 or e-mail emsloan@NortheastState.edu. Northeast State has received a $150,000 grant to support advanced technology workforce training opportunities throughout Northeast Tennessee. The funding is provided through a Walmart Foundation grant, which is managed by the American Association of Community Colleges. It is referred to as the JRWA Bridge Initiative, which stands for Job Ready, Willing, and Able. Northeast State was one of only 17 colleges across the United States to receive the award. The colleges will focus on current and potential growth of jobs specific to their region. They will work closely with local businesses, economic development leaders, and area workforce systems to address the needs of the unemployed. The JRWA initiative aims to provide more than 5,000 unemployed adults with new skills, credentials, and jobs. The three-year grant will be administered by the College Access Programs office at Northeast State. The initiative will recruit new students to Northeast State’s advanced technology programs in the identified sectors to assist underemployed/unemployed individuals. Students will get help with admissions, financial aid, career guidance, and counseling. The program will also provide additional support to students currently enrolled in the identified advanced technology programs at Northeast State. Dickson said the program will provide assistance for up to 350 people. A new workforce grants focuses on technical education skills. The initiative will focus on several advanced technology programs, such as welding, electrical, electromechanical, machine tool, manufacturing/engineering, mechanical technology, drafting, and chemical process operations. Dickson said there is an ample supply of employers with demand for these skill sets in the region. The Tri-Cities, like many areas, is experiencing an aging workforce, which will result in increasing demands for middle-skill labor. “The mission of the JRWA Bridge Initiative is to provide our area industries and businesses with a skilled workforce, as well as to decrease the unemployment rate in Northeast Tennessee,” Dickson said. Middle-skill jobs, as defined by the National Skills Coalition, are those requiring postsecondary education below the baccalaureate level; they make up the largest part of America’s labor market. High-skill workers possess technical training and industry certification or an associate’s or bachelor’s degree in a manufacturing-related field. Northeast State’s Industrial Technology and Electrical Technology programs prepare high skill workers for middle-skill jobs that include Advanced Manufacturing occupations. 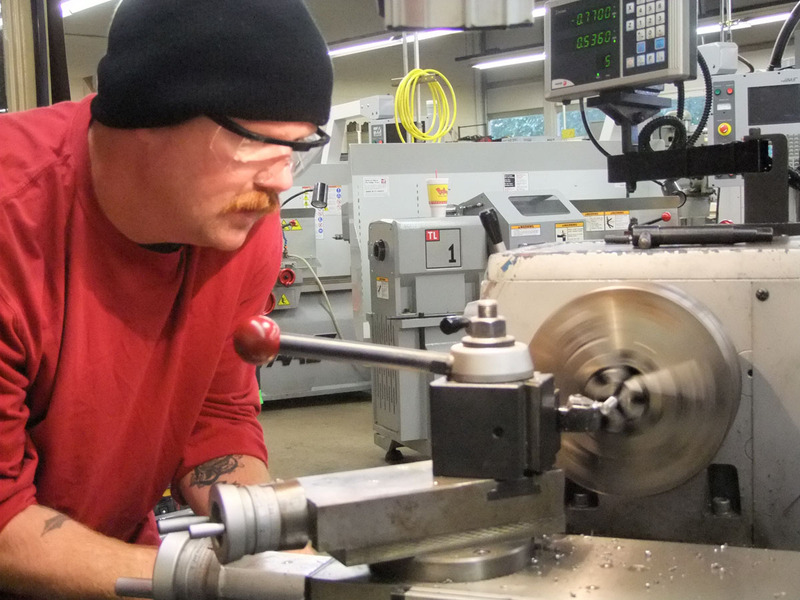 Northeast State’s Industrial Technology and Electrical Technology programs prepare high skill workers for middle-skill jobs that include advanced manufacturing occupations. In addition, manufacturing is a major industry in the Northeast Tennessee region; the area provides one-third of the state’s manufacturing jobs in Tennessee. Recognized as the second largest industrial employment area in the state, it is home to Eastman Chemical Company, Domtar Paper, A.O. Smith Water Heaters, and other manufacturers. Letters of support from local employers, submitted for the College’s Master Planning process, indicate a need for graduates from the following Northeast State Programs: Machine Tool, Manufacturing, Welding/Metal Fabrication, Combination Welding, Computer-Aided Drafting; Industrial Operations, and Machine Tool Operations. Wright Tool, Inc., A.O. Smith Water Products, Eastman Chemical, and Decanter Machine, Inc., through letters of support for other projects, have committed to support these programs and consider program completers for employment. Spring classes are still available at Northeast State with online registration ongoing and a daylong open registration session happening tomorrow at three area campuses. Register for spring classes tomorrow at the main campus, Northeast State campuses at Kingsport, Bristol, and Elizabethton. Open registration is scheduled for Jan. 15 from 8:15 a.m. to 6 p.m. Admissions representatives will be registering students in the admissions office of the main campus in Blountville; at the offices of Northeast State at Elizabethton, 386 Highway 91; Northeast State at Bristol, 620 W. State St., Suite 300, and at the Kingsport Center for Higher Education, 222 West Main St., Kingsport. Northeast State applicants can view the complete spring schedule at www.NortheastState.edu. Fees for the spring semester are due to be paid on the day of registration. For more information, visit the web site or call the College’s office of Admissions at 1.800.836.7822 or 423.323.0253 or the division of Evening and Distance Education at 423.323.0221. 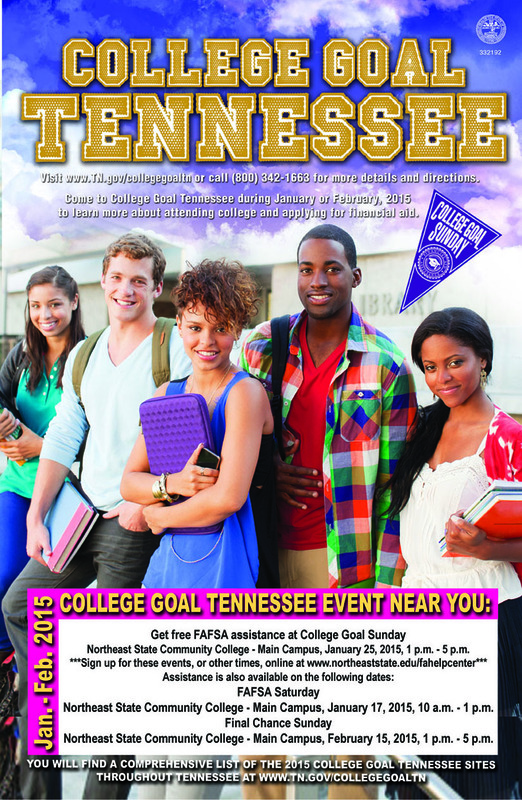 Northeast State hosts the annual College Goal Sunday event on Jan. 25, from 1:00 – 5:00 p.m. in the General Studies Building of the College’s main campus, 2425 Highway 75, adjacent to Tri-Cities Regional Airport. College Goal Sunday is Jan. 25. College Goal Sunday (http://tn.gov/CollegeGoalSunday) is a free, volunteer charitable effort to provide information and assist low-income and first-generation college students and their families. College Goal Sunday helps families complete the Free Application for Federal Student Aid (FAFSA) required to qualify for college financial aid nationwide. The FAFSA form, used at colleges, universities, and technical schools nationwide, should be submitted before Feb. 15 to get the maximum aid available, even if the student has not selected a college. In addition to it being the application for federal aid, the FAFSA form also serves as the application for the Tennessee Education Lottery Scholarship and the Tennessee Student Assistance Award programs. For additional information, contact the Northeast State office of Financial Aid at 423.323.0252, e-mail fahelpcenter@northeaststate.edu or visit www.northeaststate.edu/financialaid.